Understanding Digital Health: The Present, The Future, and The Adoption. Stay abreast with the best practices, trends, and innovations in healthcare and know how digital health is taking the industry forward. Digital health uses connected medical devices to deliver quality healthcare and includes software such as health apps, and hardware such as wearables, remote monitoring devices, and mobile diagnostics. Healthcare enterprises are looking at complete digitization, which includes digital products, processes, and channels, as well as advanced analytics, which allow for new operating models. Complete digitization is necessary as it pushes enterprises to make better decisions, enables smart choices, and allows individuals to spend time on the tasks they feel are valuable. A combination of all these helps in fundamentally altering the way value is created. How it affects the healthcare industry? 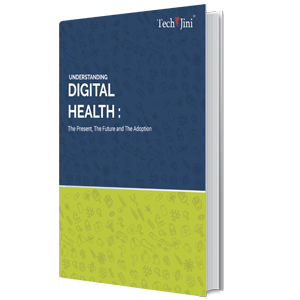 What is the scope of digital health in the future?